Disciplinary Court of Civil Service Commission imposes severe reprimand on Rabbi Elyakim Levanon as part of plea bargain reached with rabbi. 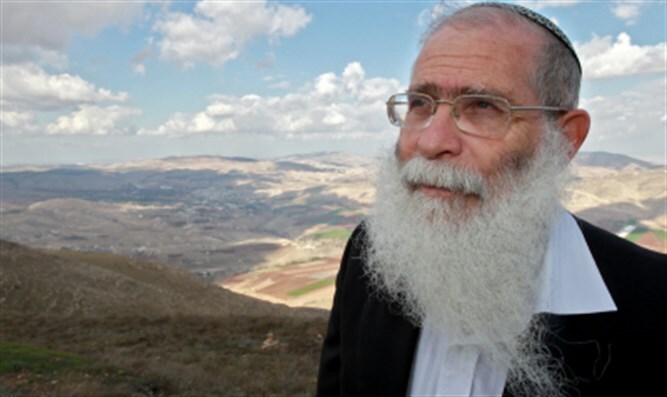 The Disciplinary Court of the Civil Service Commission recently imposed a penalty of "severe reprimand" on the Chief Rabbi of Samaria, Rabbi Elyakim Levanon. Rabbi Levanon was sentenced in a plea bargain following disciplinary action filed against him for "offensive and generalizing" remarks he made in two radio interviews, while serving as rabbi of Elon Moreh and as such an employee of the Religious Services Ministry. The first interview was given to the haredi station Radio Kol Hai in 2014, while the second interview was with Religious Zionist Radio Galei Israel in 2016. In an interview on Radio Kol Chai Rabbi Levanon called to ban vehicles driven by Arabs from leaving Arab cities following a wave of ramming attacks. In an interview with Israel Radio the rabbi expressed support for MK Bezalel Smotrich's tweet in support of separating Jewish and Arab women giving birth in the maternity wards, due to "their different mentalities". The rabbi and MK were referring to the fact that Arab custom is to have large numbers of visitors in the convalescing mother's room, celebrating and making noise, while Jewish mothers generally prefer quiet, so that separate room are good for both. A suit was filed against the rabbi, however, for these remarks. OBSGYN head at Hadassah Mount Scopus claimed that Arab women request the separation as well, and so do haredi and secular when the hospital stay includes Shabbat. As part of the disciplinary plea bargain, Levanon admitted to disciplinary offenses under the Civil Service Law, according to which he "acted with conduct unbecoming his position as a state servant, or behavior that could damage the reputation and good name of the civil service." "The defendant's words hurt the Arab public's feelings and the delicate fabric between the different populations in the country. Their destructive potential do not require proof. The offenses that were committed include a broad public ramification, mainly by virtue of their having been committed by the defendant who has religious and halachic authority as a rabbi. "On the other hand, we weighed the defendant's acceptance of responsibility, his expression of remorse for those statements, and his assurances that he will exercise caution in the future. Therefore, after weighing the evidence, our opinion is that it is possible to respect the plea bargain, which under the circumstances meet the preventive and deterrent purposes of the disciplinary court," the verdict said. The office of Rabbi Levanon said in response: "A hearing took place two weeks ago in the Civil Service Commission's court regarding a lawsuit filed against Rabbi Elyakim Levanon, Rabbi of Samaria, for a number of media statements." On the filing of a suit against the respected rabbi, the office added: "Again Reform groups are exposed, funded by the New Israel Fund and similar groups. Repeated attempts by these organizations to silence rabbis, harm freedom of expression, and cause serious damage to the public who thirsts to hear sane words of encouragement in moments of national difficulty."